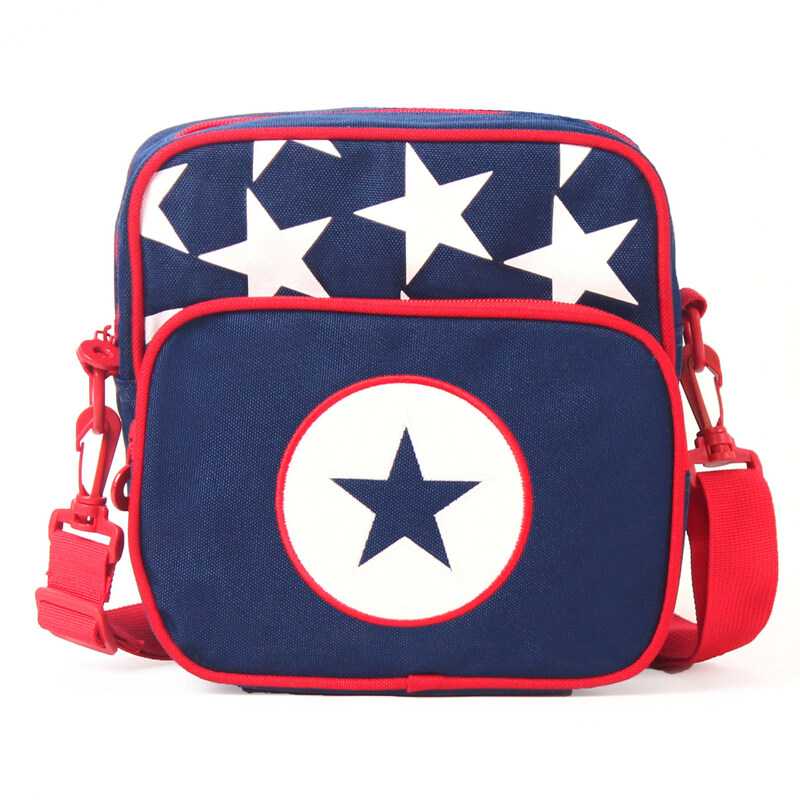 The Navy Star Messenger Bag from Penny Scallan is a lovely designed bag for little boys & girls who like carrying bits and pieces and is a great alternative for those who don't want to carry a traditional backpack. Perfect for a change of clothes for those kiddies just a little too old for a nappy bag. The Messenger bag features a front zippered pocket, a larger lined compartment with zipper closure and a wide and strong strap for a convenient shoulder wear.